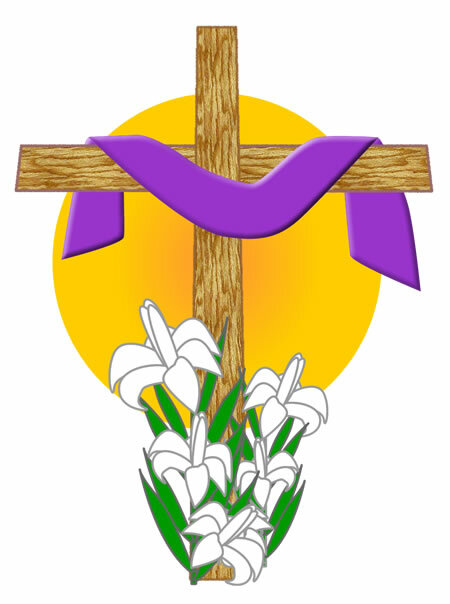 The commemoration of the Resurrection of our Savior has always been regarded as the highest of holy days. On Easter we celebrate hope, forgiveness and redemption, those luminous gifts from God to humanity. These blessings shine daily at the Catholic Worker House where homeless men are presented with an opportunity, another chance, hope and temporal redemption. The House has provided emergency shelter, food and clothing for sixteen men at a time for over 25 years. In addition to the core mission of emergency housing, the House has evolved into an integral safe haven in Over-the-Rhine. Are Being Human And Being Holy A Contradiction? 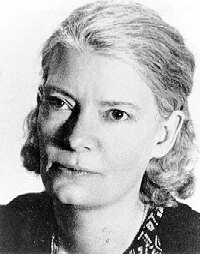 Occasionally the American Catholic laywoman, Dorothy Day, is mentioned as a possible candidate for sainthood. I realize the uneasiness of many who are not Catholic about the whole issue of saints. However, I would like to use some factors of her life to speak about being holy. Dorothy Day was a Greenwich Village radical in the 1920s. In her early years she was a friend of leftists like John Reed and a drinking buddy to writers like John Dos Passos. By the age of 30, she had had an abortion, been divorced, and borne another lover’s child. Later, after converting to Catholicism, she changed drastically and dedicated her life to the poor - not as a nun but as a layperson. She built a string of hospitality houses for the homeless and hungry. She championed the rights of immigrants and farm laborers through her newspaper The Catholic Worker, and founded the Catholic Worker Movement. Her commitment was so sincere that she practiced poverty in her life. She was wary of adulation, advising friends not to “trivialize me by trying to make me a saint.” She died in 1980 at the age of 83. But what about her early life and sainthood being mentioned in the same breath? Judgmental people, and many pious Catholics, will sniff disapprovingly at her coming to be considered an exemplar of holiness. “She’s certainly not my idea of a saint,” many would say. To them her past will overshadow her transformation and what she grew to become. We have a blurred image of what holiness means. Our idea usually includes degrees of anti-humanness. We prefer saints be born as plastic people and remain so. If I heard of such a child doing that today I’d wonder about what unhealthiness, not holiness, lurked in that child’s life and why. Such a child would have as much transformation to accomplish as Dorothy Day. Holiness is wholeness, human wholeness. And we never begin life with an accomplished wholeness spiritually or psychologically. We are embarrassed at being human. We regret not being God - as did the first humans depicted in Genesis. We abhor being imperfect, weak, humbled, having to struggle to become more than we are. It is especially difficult for a generation of achievers to accept the intrinsic weakness of human nature. Genuine human growth and holiness (wholeness) are spread over a lifetime. Some religious-appearing people may just be good pretenders. That seems true for people like Dorothy Day and for people like you and me. Reprinted with permission. Father Lou Guntzelman is a Catholic priest of the Archdiocese of Cincinnati. Each Tuesday and Thursday at 7pm House guests come together with interested volunteers, former guests and friends for an Alcoholics Anonymous meeting. AA is sometimes reviled as too religious, and 12-step programs ridiculed in the popular media. Such misconceptions disregard the importance of honest self evaluation and personal responsibility that are essential to recovery from addictions and the cycle of homelessness. Traditional inspirational readings ensue, followed by announcements and then the much applauded sobriety anniversaries. A topic is introduced and those who wish to share their experience, strength and hope. These meetings invariably induce feelings of commonality and fraternity and can make the difference between relapse and a new life of sober responsibility. After an hour, all join hands to recite the Lord’s Prayer to close the meeting. Catholic Worker House AA meetings are open to anyone interested in attending. Hello all! First, let me take time to thank you for your prayers and well wishes. As you may know, I am still undergoing chemotherapy. My last report revealed no spreading so that is good news. I know that everyone will continue to pray for my full recovery. The roof and office construction from our Greater Cincinnati Foundation grant has finally come to an end. As Father Mark would say: “First class all the way.” Our Board of Trustees is working hard with me on many other projects we need to maintain this mission left to us by Father Mark. We truly miss Father Mark, but I assure you that his legacy will live on. 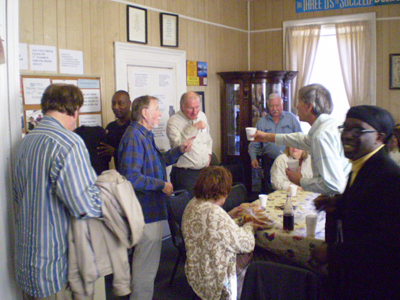 I owe a tremendous debt to our staff here at the Catholic Worker House. These men have stepped up and filled in the gaps. The Manager always gets too much credit when things run well, but without our staff, we wouldn’t be able to operate. Until next time… love you all. 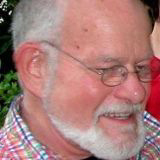 SF/SJ House lost a true friend when Stan Thom died unexpectedly on December 10. Stan and friends Jean and Bill provided dinner to our guests one night every month. A big commitment of time, expense, and care preparing a good full meal for 18 persons. During dinner at his house, the subject of SF/SJ House had popped up. Stan reacted: “What can I do? I’d like to do something. I love to cook.” That’s how it started. Stan fit the definition of “A Renaissance Man.” A native of Cincinnati, he was an accomplished language teacher, fluent in French and German. He taught in Cincinnati and later in France, Germany, Turkey, and Egypt. A talented woodworker and restorer, he transformed an old row house in Covington into an attractive, cheery home which welcomed many guests. He ran a catering business and worked as a bartender. For many of his friends, he voluntarily did home repairs, decorating, painting and papering, and restored furniture. He operated a Turkish carpet and rug import store. He became a docent at the Cincinnati Art Museum. He traveled extensively, visiting friends throughout Europe and the Mediterranean. A great cook and host, invitation to dinner at his home was a ticket to food for the soul and the mind and the heart as much as the body. Stan and his wife Alice raised three wonderful kids who have grown up to be intelligent, generous, and kind persons with children of their own. Alice was ill for several years before her death. Stan cared for her, donated a kidney to her, read favorite literature to her, cooked for her, fed her spoonful by spoonful. Stan was not one to countenance hypocrisy. He believed the difference between one person and another is superficial, insignificant. He questioned religious doctrine and belief; he could be critical of institutional church. Yet he was steadfastly a person of spiritual depth, who could not imagine faith can be real without good works. Stan lives on in his children and grandchildren (who include us all), in those he knew, raised, taught, and served, in books he read, ideas he mulled, music and art he enjoyed, people in countries he visited, furniture he restored (including the rocking chair in my living room), and in those of us he fed. 1437 Walnut Street off of Liberty. If you are participating in the May 30 annual Hunger Walk, please don’t forgot to note on the entry form that you are walking for St Francis-St Joseph Catholic Worker House. In our Thanksgiving newsletter we requested special donations for work boots for the guests. Your response was overwhelming and we now have a “boot fund” that should last for awhile. Thanks to all who donated! We are pleased to report that, as a result of a generous grant from the Greater Cincinnati Foundation, much needed work has been completed on the old House. The roof was replaced and the gutters and downspout repaired. In addition, the electric has moved forward by a century to accommodate our new computer system, phone line, lights, doorbell, and exit signs. Besides the GCF, we wish to acknowledge Mike Harmon for writing the successful grant and Kevin Staigl for overseeing the project. 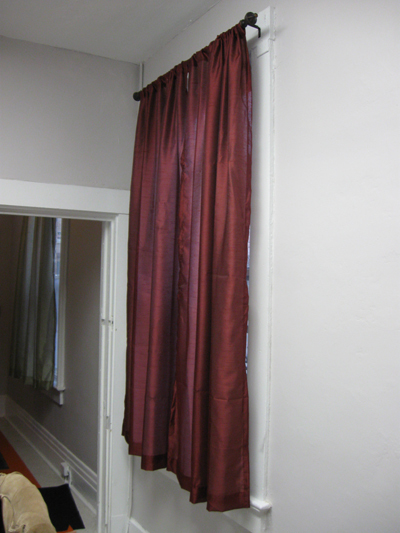 Thanks also to Bob Bertsch for the donation of computer equipment as well as Robbie Dufek for tastefully choosing and donating the curtains. We extend special recognition to recent House guest, James Burke, who volunteered many hours installing the new floor, demonstrating the “Worker” in Catholic Worker House. 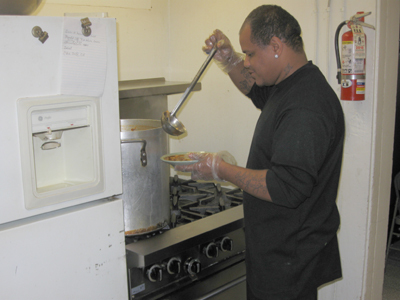 The soup kitchen is humming each Tuesday, Thursday and Saturday from 11 am to 1 pm. In the winter, diners eat inside the House at the dining room table, the living area and the kitchen. For the summertime, lunch bags are packed to go. A team effort: staff, guests and volunteers join to help feed Over-the-Rhine residents. The days have been chosen with care to coordinate with other OTR kitchens so that food is always available in the neighborhood. SFSJ feeds about 500 people per week. Thanks to all who volunteer and contribute to this important piece of life at the House. 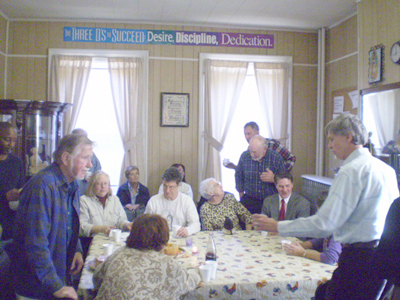 Father Mark conducted Mass at 10:30 am on November 1, 2009 at the homeless shelter, an institution he poured his heart and soul into to make it what it is today, St. Francis-St Joseph Catholic Worker House. That same evening, Cincinnati would celebrate Mark’s life by having a Roast and Toast at the Hartwell Center, attracting 300 friends and raising $27,000 for his beloved House. Mark had told his brothers, sisters and a few friends the evening before that he would be saying Mass in the morning at the House and invited us to participate. I took these photos and wish to share them with supporters of SFSJ. Father Mark’s siblings present were Luke, Darlene, Leroy and me. It was Mark’s last Mass at the House. Working night shift at the Catholic Worker House, Richard Johnson evokes some complaints and grumbles from the guests. “Tough love; I’ve been there, I understand.” says Richard. Indeed, the grumbles disguise the respect that former and current guests have for Richard. This ability to relate is the most effective recovery tool we possess at SFSJ. 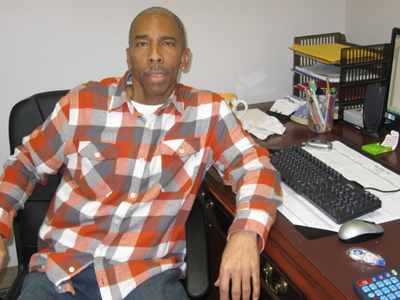 Richard grew up on a farm in Mississippi and, upon high school graduation, ventured to the big city of Chicago. The excitement gradually diminished as his street sense heightened. Richard ended up homeless and worse. He came to Cincinnati, recovered and reunited with his family. In addition to the House position, Richard works full time at Ivy Woods nursing home helping the sick and injured. 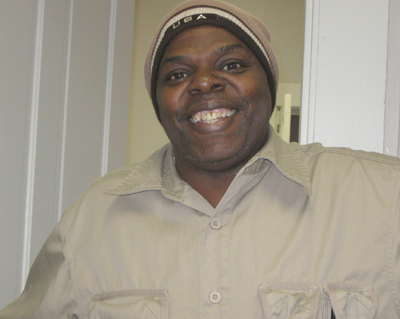 He is a state-certified nurse’s aide. Here are examples of House guests who have recovered from homelessness. Ted L, 2007, is a professional chef and part time House staffer. Ted has too many quotable quotes for this small space. In the spirit of forgiveness and redemption, we hope that you consider a gift to support the Catholic Worker House. 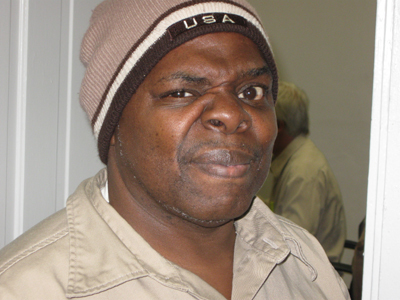 We operate frugally on a tight budget so even a small donation can give a homeless man that second chance. SFSJ, PO Box 14274, Cincinnati, OH 45250-0274. The guests, staff and volunteers thank you.